The series' cast and crew reflects on a closing chapter that found a glimmer of hope in a grim ending. To consider the end of “The Terror” is to remember how the series started, with a brief introductory overview of the Franklin expedition. Before listening in on a conversation with the men tasked with finding the vanished crews of the HMS Terror and the HMS Erebus, there’s the reminder that the men they sought never returned. So when the finale, “We Are Gone,” ends with exactly one of those ill-fated explorers still alive, it’s not a surprise, but instead a natural conclusion of where the show has been moving, with varying degrees of velocity. The natural result of that trajectory meant that the final chapter would be filled with a certain amount of turmoil. But to hear from those who helped bring “We Are Gone” to life, there was plenty more to be found in this ending than tragedy. As much as that final moment emphasizes how well the show has balanced the quieter contemplative scenes, Episode 10 brought another tightly choreographed action setpiece. Along with the Blanky attack and Carnivale, this was another sequence that required plenty of logistical attention. But for Hugh, its placement at the end of the season also led to a consideration of how so many characters’ ends stayed true to what came before. Some of those endings came in the episode’s hilltop attack sequence. 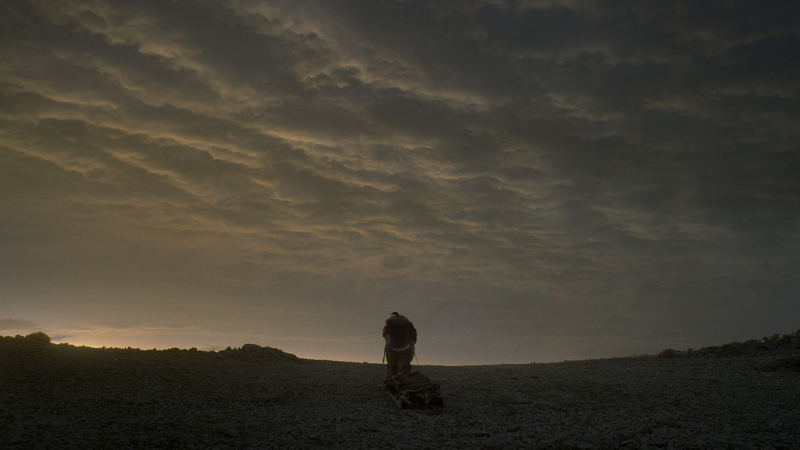 The striking prelude to a massacre is Hickey (Adam Nagaitis) leading his gathered men in a funeral dirge version of “God Save the Queen,” part of an effort to summon the Tuunbaq a final time and fulfill a destiny that only he seems sure of. For Nagaitis, this offered one last chance to hint at the motivations of the enigmatic individual who’d orchestrated this grand sendoff. Despite an exterior that implies a certain level of fatal confidence, Nagaitis described how the process of filming that final attack sequence unlocked another layer of the character that was buried much deeper. “On the day doing it, I realized the vulnerability that creeps in. That day to him is the ascension that he’s been waiting for. The choice he’s made to become the Shaman and take control of or share himself with the bear and to be master of this new empire, this whole opening is there for him,” Nagaitis said. “I realized how much it meant to him as a symbol and how lonely he was. That’s what did occur to me a lot on a day was that’s really what he’s seeking in the end, which is sad to me. This attack was the last elaborate checkpoint in bringing the Tuunbaq to life. Like Episode 5’s acrobatic mast sequence, it required a great deal of calibrated performances to help become a reality, namely from Crozier himself. 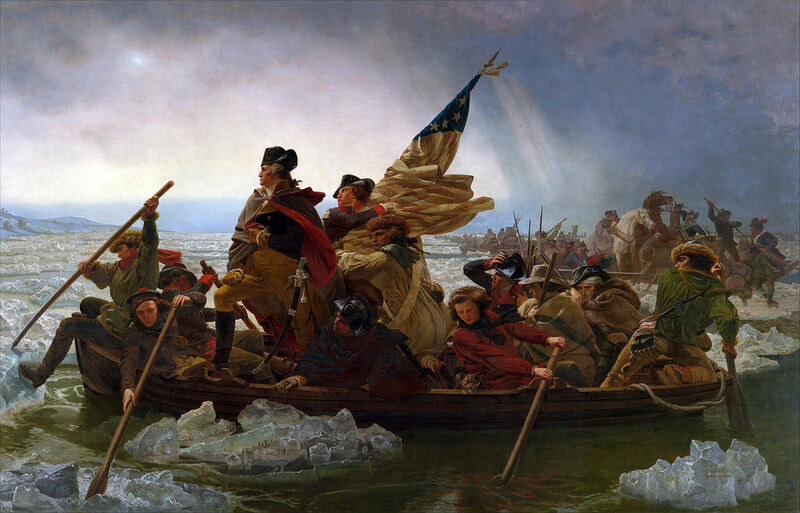 That final sequence took another unexpected cue from a famous Emanuel Gottlieb Leutze painting (one, incidentally that would have been finished around the time that the events of the show were occurring). 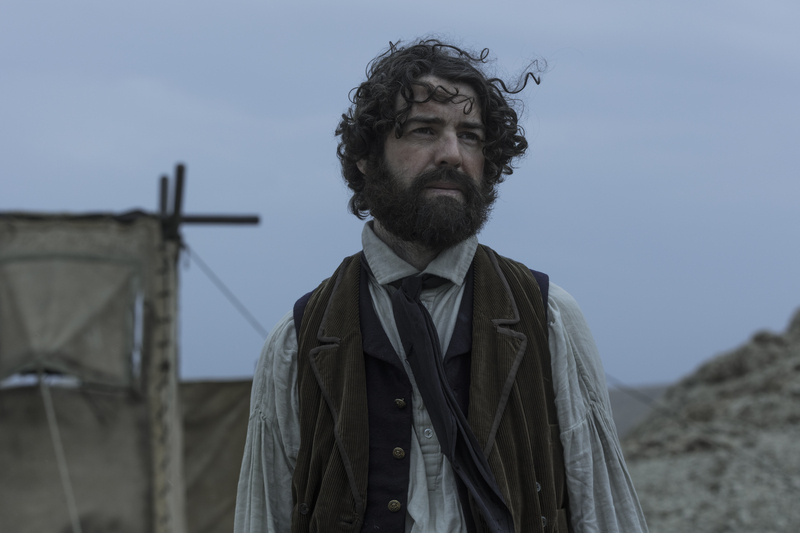 Before the final episode bids farewell to that pair of major forces in the series, Episode 10 also sees the end of Dr. Goodsir (Paul Ready). His last act, after bearing witness to some of the most horrific chapters in this ill-fated expedition, is one of a sacrifice. Recognizing that his death might give his comrades a chance at survival, Goodsir takes his own life. Through the eyes of both Crozier and Lady Silence, we see the aftermath of that retreat, Goodsir’s body laid out on the common table. In another instance of the production environment helping to inform a better understanding of the characters the actors were playing, Ready had a chance to see Goodsir’s final likeness. Along with the knowledge that his death wasn’t entirely in vain, “The Terror” gives Goodsir one final grace note: a series of visions of natural wonders intercut with the final moments of his life. Those final flickers of Goodsir’s life — a “moment of subjectivity,” as Kajganich puts it — stands distinct from some of the others the show has used in pivotal moments, including earlier in this episode as Johnson crawls across a banquet table towards Crozier as the rest of the surviving men leave him behind. Hugh explained that giving Goodsir control over his last thoughts was in some ways their gift to the character. As with much of “The Terror,” there’s as much emphasis on what’s audible as what’s visible. 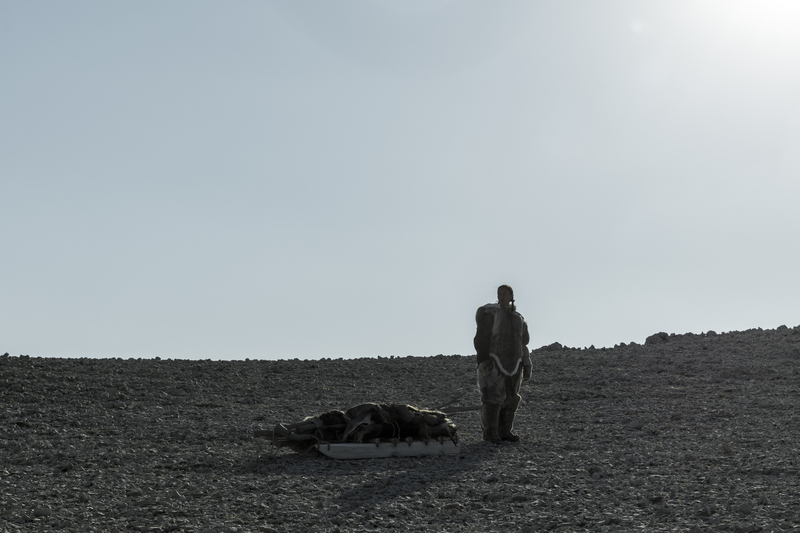 In addition to setting the chilling atmosphere of the last Tuunbaq attack, Marcus Fjellström’s score added a thematic layer to the showdown. Hugh also saluted the sound design team, who helped realize a very specific request to differentiate not only the more patient moments in Episode 10, but in each installment leading up to it. Lady Silence’s return is part of a denouement that few series are given the chance to have. 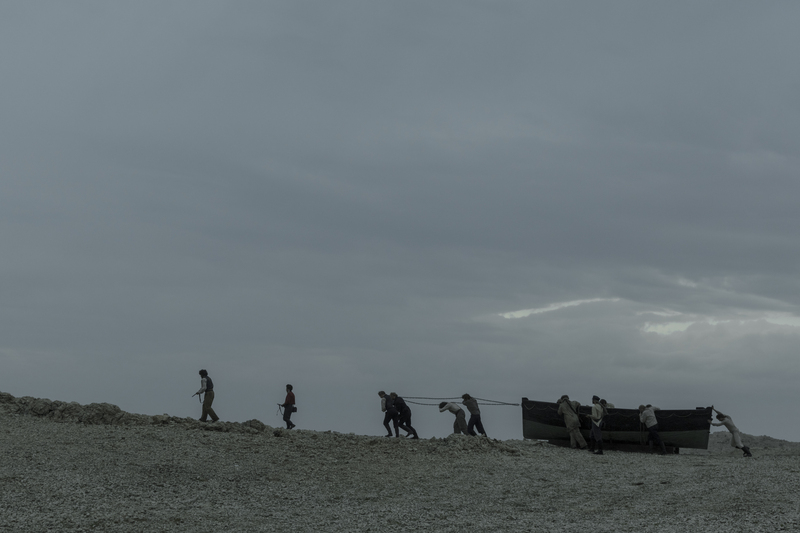 After the death of the mythic creature that’s become such a force in the scope of “The Terror,” the show had one final chance to prove it was about far more than a monster. Eventually, that leads to a mirroring of the opening sequence of “The Terror.” Revisiting the Ross search party asking the local Inuit what befell of the expedition that came before them, the scene adds a crucial bit of information: a within-earshot Crozier deciding to remain outside the tent. Kajganich explains that the first instance of this scene wasn’t always the series introduction they had in mind, but reworking that opposite bookend to match the existing ending made for a powerful conclusion. Though Crozier is the only one left at the end of the series, when the camera pulls back on him now well in the midst of a new life, that empty space around Crozier isn’t just a reminder of what he’s lost. It’s about what he fought dearly to protect before the rest of his men were gone.